Kejriwal, in his plea, contended that the EC's order amounts to curtailing his freedom of speech and expression guaranteed under the Constitution of India. 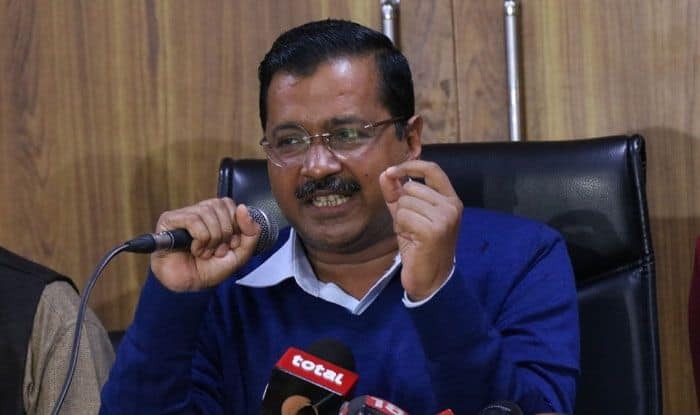 The Election Commission (EC) on Thursday gave an undertaking in the Delhi High Court that advance notice will be given to Arvind Kejriwal before taking any action, including derecognition of his Aam Aadmi Party, for his alleged bribery remarks during Goa Assembly election campaign in 2017. Justice Yogesh Khanna took on record the statement by the poll panel and disposed of Kejriwal’s application seeking directions to the EC not to take any action against him or his party based on its January 21, 2017 censure order. In its January 2017 order, the EC had said that if he, in future, repeated such remarks, it would take action against him and his party. On Thursday, the EC’s lawyer said a notice would be sent in advance to the Aam Aadmi Party (AAP) convenor before taking any action against the party under para 16A of the Election Symbols (Reservation and Allotment) Order. Under the Symbols order, the EC has the power to suspend or withdraw recognition of a recognised political party for its failure to observe the Model Code of Conduct or follow lawful directions and instructions of the poll panel. The court made it clear the order for advance notice was applicable to any action in connection with the utterances made during the January 2017 poll campaign in Goa and not with regard to any remarks made in future. The poll panel, during the proceedings, has taken the stand that the Model Code of Conduct was violated by Kejriwal when he made the remarks and hence, an order of censure and later a direction for lodging an FIR was issued against him in January 2017. Kejriwal, in his plea, has contended that the EC’s order amounts to “curtailing” his freedom of speech and expression guaranteed under the Constitution of India. The application was moved in his main petition seeking quashing of the poll panel’s decisions and which will be heard on April 26. The poll panel had earlier orally told the high court that only a complaint case against Kejriwal was pending in a Goa court for his alleged bribery remarks at election rallies in the state on January 7-8, 2017 and no FIR was lodged as directed by the EC. During a series of rallies in Goa on January 7-8, 2017, Kejriwal had asked voters to “accept money from the Congress and BJP candidates but vote for the AAP”. The Bharatiya Janata Party (BJP) had filed two complaints against the AAP supremo, seeking his prosecution under various sections of the Indian Penal Code (IPC) for asking voters to accept money. The Congress too had condemned the Delhi chief minister’s statement. The poll panel had, thereafter, directed that a complaint be lodged against Kejriwal under the provisions of the Representation of the People Act dealing with bribing voters and the relevant sections of the IPC.